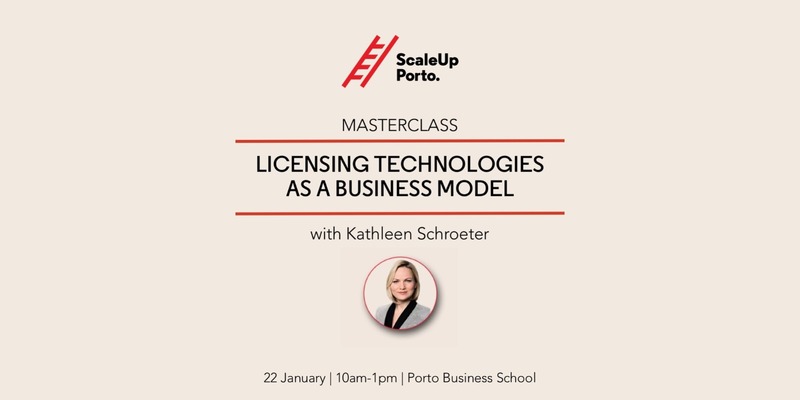 Masterclass: Licensing Technologies as a Business Model | ScaleUp Porto. Technology transfer can strongly impact economic growth. While we’re really good at developing interesting, disruptive technologies, we might not be so good at turning them into products and making them reach the market. Licensing can be a solution to capitalize on the developed knowledge, it can even become a business model, allowing companies to grow, research and development centers to become highly profitable, generating impact to people, and to economy in general. In this Masterclass we’ll learn from the best about licensing models and how to properly deal with the licensing process, legally and financially. We’ll focus on real case studies such as the licensing model of the mp3 and H.264 technologies. Researchers, CTOs and everyone involved in technology transfer processes. Kathleen has worked for the Fraunhofer Heinrich Hertz Institute HHI since 2007. After a stint in the internal marketing consulting at the Fraunhofer-Gesellschaft headquarters, she moved to Fraunhofer HHI’s newly-created 3D Innovation Center as its Executive Manager in 2011. Still managing the Innovation Center under its new name ‘3IT – Innovation Center for Immersive Imaging Technologies’, she’s been Head of Marketing & Corporate Communications since October 2014. As high & deep tech became a passion for her, she started to regularly host and moderate events whose focus is on digital media & immersive technologies. She’s a member of the European Committee of the “Advanced Imaging Society” (AIS) and the “VR Society”. Kathleen is being awarded with the 2018 Advanced Imaging Society Distinguished Leadership Award for the work developed and forward-thinking efforts in visual technology and emerging content.